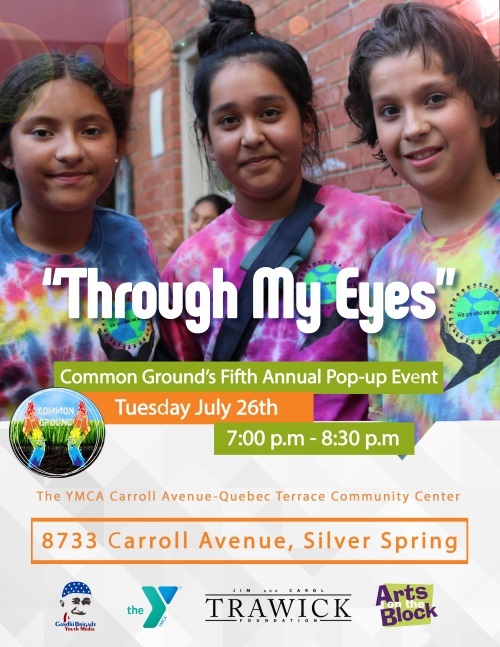 As someone who cares deeply about providing our youth with excellent opportunities to develop their personal potential through exposure to the arts, we hope that you will join us for the 5th Annual Common Ground Pop-Up Event. Common Ground, a collaboration between YMCA-Youth & Family Services, Gandhi Brigade, and Arts on the Block, brings at-risk youth to the forefront of the community planning process where they develop leadership, teamwork, and communication skills through the arts. Common Ground involves dozens of middle and high school students and guides them through the planning and execution of a public “pop-up” event that celebrates and builds community through the arts.